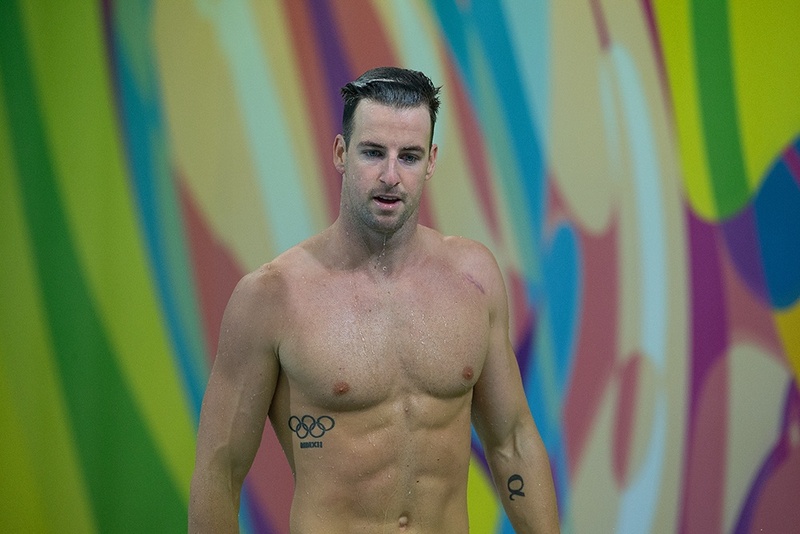 Having battled an extensive shoulder injury that required surgery in 2015, Australian speedster James Magnussen has struggled to return to form since his back-to-back World Championship title-winning days. The 2011 and 2013 100m freestyle gold medalist at Worlds and silver medalist at the 2012 Olympic Games, Magnussen sat out the 2015 and 2017 World Championships, so last year’s Commonwealth Games served as the 26-year-old’s biggest international debut in several years. Although he didn’t qualify in his pet 100m freestyle event individually on the Gold Coast, the 27-year-old did reap gold as a member of Australia’s men’s 4x100m freestyle relay. Since then, Magnussen has remained relatively quiet, reportedly still staying in shape, but opting out of competitions such as the World Cup and Short Course World Championships. While conducting a swim clinic with fellow Australian Olympian Thomas Fraser-Holmes this week, Magnussen told the local Port Macquarie News “while my heart says Tokyo, my head says that may not be the best decision career-wise,” regarding a retirement determination. “You never say never. I’m still in shape and if the trials were tomorrow I’d back myself, but at the moment at my age it’s about weighing up the opportunities outside of the pool more so than Tokyo,” Maggie continued. Even with names like Olympic champion Kyle Chalmers, mainstay Cameron McEvoy, and emerging 20-year-old Jack Cartwright on the Aussie roster, there is still room for Maggie to make his impact. He ended 2017 as the 4th fastest Australian in the 100m free (48.68), while also ranked as the 3rd fastest Aussie 50m freestyler (21.98). With minimal racing in 2018, Maggie closed the calendar year as the 5th fastest 100m freestyler (48.79) in Australia and the 3rd fastest Aussie 50m freestyler in 22.05. I think he begins to hear the flutter of the Wings of Time — and that Time has, sadly, passed him by. He was a great 100 m. free swimmer – rest on those laurels. . . .and now, move on to the rest of life!